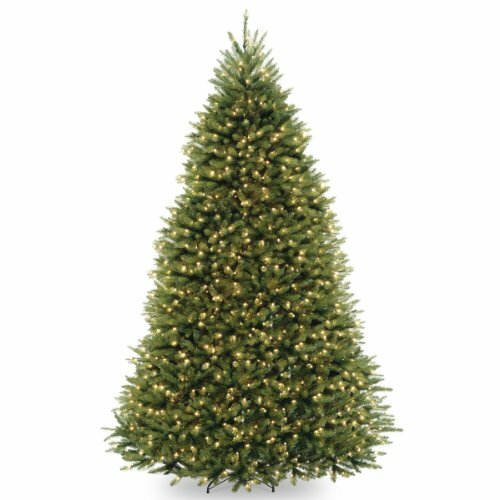 If you need to fill a room with a commanding holiday centerpiece, this 9 ft. tall Dunhill Fir fits the bill. This full body tree features a generous number of branch tips for holding holiday trimmings. It is pre-strung with 900 clear lights that remain lit even if a bulb burns out. Hinged construction and included metal tree stand add to ease of assembly. Also includes spare bulbs and fuses. Packed in reusable storage carton. 5 year tree / 2 year lights warranty. Assembly instructions included.